iTunes is really a good utility tool for iOS devices which can make Apple users play their movies on different iDevices with only one iTunes account. For Blu-ray disc collector who have collected hundreds of Blu-ray discs, many of them begin ripping their Blu-ray discs into a Blu-ray digital version to place into iTunes for physical disc protection, convenient management and organization and free playback. As we all known, iTunes could only recognize video files in MP4, MOV, M4V. So when you consider to rip your Blu-ray collection to digital version for iTunes playback, you only can choose to convert Blu-ray to MP4/MOV/M4V format with Blu-ray Ripper. How to Rip Blu-ray Collection to Digital Version for iTunes Playback? Step 1: Add Blu-ray video file. Insert Blu-ray into disc drive. Launch ByteCopy on PC(Mac version), click “Load Disc” button to browse to disc drive and import source movie into this app. This app support batch conversion so you can import more than one Blu-ray movie at a time. After you loaded the Blu-ray movies, you can choose desired subtitle and audio track under the chapter list. Step 2: Choose format and set profile. 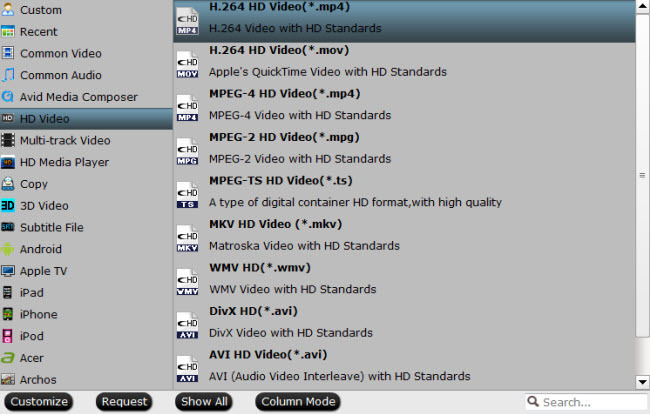 Navigate to “HD Video” > “H.264 HD Video(*.mp4)” as output file format. In addition, If you can play movies on iPad without iTunes, I suggest you to choose M3U8 format since you can get more influence media playback with this format. You can search the format in the search box in bottom right corner. Tip: You can preview the output video size and adjust video size, codec, birate, etc and audio channel, bitrate in settings. If your Blu-ray contains 5.1/7.1 audio, this app allows you to preserve the surround sound. 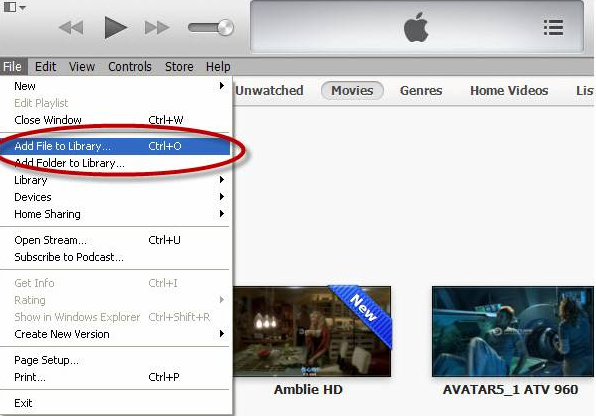 Hit right-bottom “Convert” button to carry out the conversion from Blu-ray to digital version format for iTunes. After you ripped Blu-ray to digital version (MP4), you can add the Blu-ray movies to iTunes now. 1. Download iTunes online, install it on your Mac/PC and run it. 2. Click “File” on the top menu to follow “Add File to Library” or “Add Folder to Library”. 3. Choose the the file or folder you want to add. Now, the Blu-ray to iTunes transformation is over. And there are other things you maybe want to know about this Blu-ray Ripper: Actually, the key feature of the program is the ability of outputting lossless MKV with multi-track audio/subtitle and all chapter markers and extract the subtitle from Blu-ray movies for other use. So if your other media players support MKV, just try to rip Blu-ray to lossless MKV. 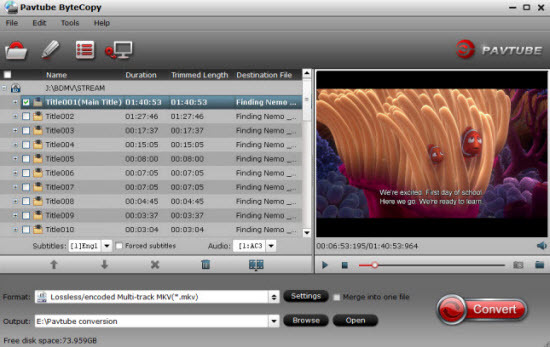 And for DVD owners, this program can also help you copy DVD to iTunes with right format.